If you've never experienced riding a motorbike or scooter, it can seem like a daunting prospect! I've you've ever ridden a bicycle before then you should have the skills required to get you started on a motorbike or scooter. Getting started on two wheels is easy, unlike getting driving lessons over a long period of time, it is quite possible to go from having only no road experience one week to being able to be on the road independently the next!. 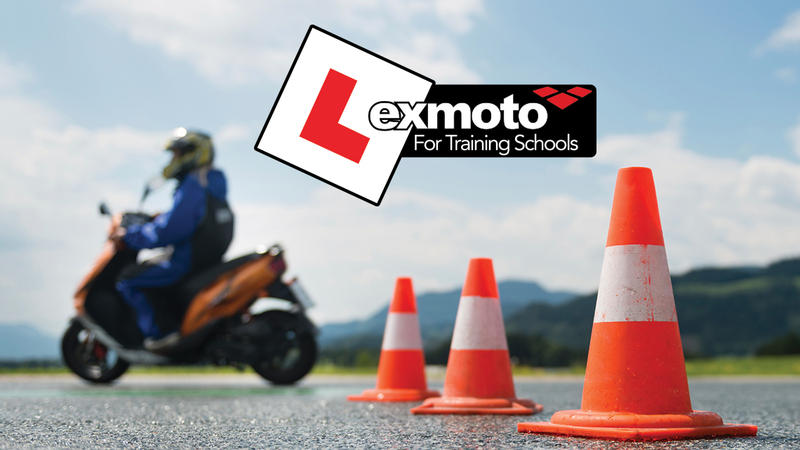 With the Lexmoto Training School scheme, you could receive £50 off your first Lexmoto Motorcycle of Scooter, simply for completing your CBT. 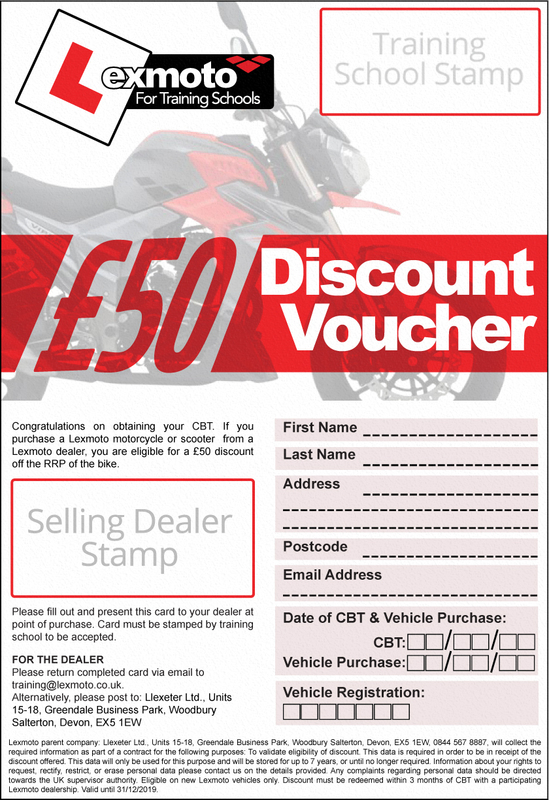 All you need to do is download and print out the Training School voucher, take it with you on the day of your CBT and have your training school stamp it with their details. Now, when you visit your Lexmoto dealer, hand over the voucher once you've decided which bike you think is perfect for you and the discount is yours! To help you get started we've put together a list of the UK's training schools to help you find out who can offer you the support of your first Motorcycle or Scooter experience.